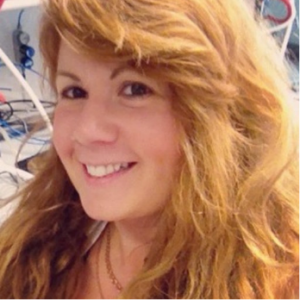 The Swedish Neutron Scattering Society is proud to announce that Dr. Selma Maric, one of our very own researchers, is one of the recipients of The Camurus Lipid Research Foundation Junior Prize 2018. Since receiving her PhD in biophysics 2014 at the Niels Bohr Institute (University of Copenhagen), she has held post-doc positions at the Karolinska Institute and at present at Malmö University. Selma has contributed with pioneering work on selective isotope labelling of natural lipids enabling new knowledge on structure and dynamics of lipid containing systems. The developed methodology is particularly relevant in light of the increasing use of neutron-based methods in lipid research and the location of the European Spallation Source in Lund, Sweden. Each year, the Camurus Lipid Research Foundation supports research in lipid science, particularly focused at structure and function of complex systems and their roles and applications in biological systems and biomedical/clinical applications. One researcher is awarded the The Camurus Lipid Research Foundation Prize and two are presented with The Camurus Lipid Research Foundation Junior Prize. Junior Research Prizes are awarded promising young post doctoral researchers in Lund or Malmö University with who have done an important contribution to research in the lipid field and also shown potential to establish themselves as independent researchers with new ideas on lipid assemblies, their function, and applications.